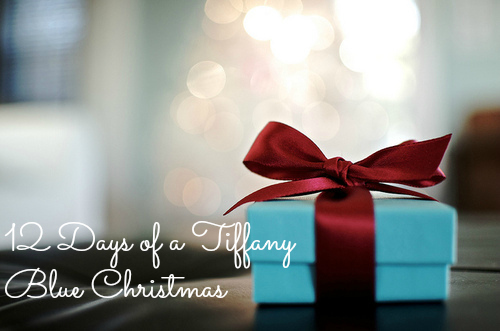 On the 11th (and second last day) of a Tiffany Blue Christmas we’re talking your favorite Christmas Eve tradition! For my entire life, my favorite Christmas Eve tradition has stayed the same. Every year, we spend Christmas Eve at my aunt and uncles with all of my Dad’s side of the family. The meal stays the same – the most delicious seafood casserole and homemade meat pies and the faces are always a warm sight. In fact, on Christmas Eve 1984, when I was eleven months old – I took my first steps at this very event. Twenty nine years later, it’s still one of my favorite nights of the year. Stay tuned to my Instagram tonight where you’ll surely see a snapshot or two! What is YOUR favorite Christmas Eve tradition? Or what are your plans tonight? Let me know in the comments below or share a post on Instagram with the hashtag: #12daysofaTBChristmas! And on that note – tomorrow, we finish an amazing 12 days of Christmas with your favorite present under the tree this year! So from my home and family to yours – have a VERY Merry Christmas and a Happy Christmas Eve!